The mysterious town doesn't seem to have a name. That's part of what makes it mysterious, maybe. I mean I don't know. I'm just guessing. 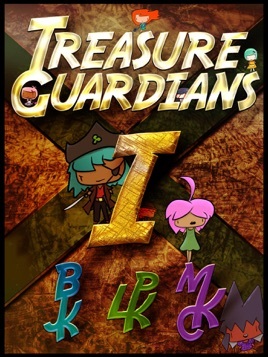 None of the Treasure Guardians have thought to name it, although Candy Stocking has whole notebooks full of observations about the town, and Liquorice Cupcake has drawn hundreds of pictures of the streets and views and monsters and everything, and Trouble Fox has explored pretty much everywhere even if getting her to talk about anything is a chore and a half, and Clover Pirate has battled monsters all over the place, and Obviously Lemonade and Peppermint Star have been around for longer than anyone else, apart from Mrs Hoot and Mistress Tabitha Maybenot of course, so I guess they know a lot about the place, the town I mean, and if there's a secret candy gathering point in the town that Choral Singalong doesn't know about then, well, I don't know, she's just really good at finding secret candy gathering points, is what I'm saying, and then Flower Turnip, well she mostly just sleeps a lot but she's a nice girl. You'd like her.